Two foundations from different ends of the Globe decided to join hands for eliminating poverty, shearing happiness and giving children a better future through healthy activity including sports. At a Special event organized at Khaleej Times office located in Dubai,Peshawar Zalmi Foundation and Darren Sammy foundation Foundations inked a MOU for mutual collaboration. 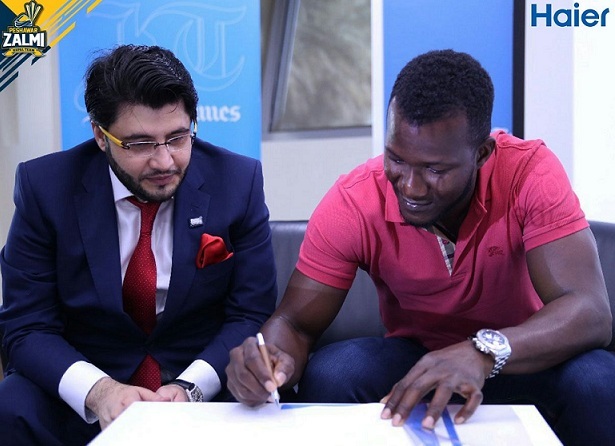 Peshawar Zalmi Foundation's Chairman Javed Afridi and Peshawar Zalmi Captain Darren Sammy shed light on joint initiatives the two Foundations intend to take up in future. Mr. Afridi, while highlighting the various work done by his Foundations, announced that Peshawar Zalmi Foundation will provide all the required cricket equipment to Darren Sammy Foundation in the city of St Lucia. Expressing his views, Mr. Afridi said "Pakistan is badly affected by terrorism.I have always condemned terrorism and want to work for the well-being of people affected by it. That’s why we at Peshawar Zalmi started the Peshawar Zalmi Foundation which is not only about cricket but also there to globally help and support people in need. 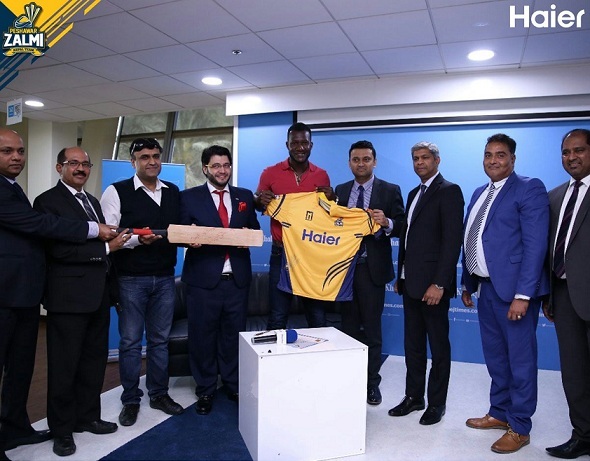 Peshawar Zalmi Captain Darren Sammy shared his feeling with an enchanted smile that for him Peshawar Zalmi is not just a cricket team, rather it’s his extended family. “I admire Javed Afridi for his massive cricketing sense and passion for the game, his idea for spreading smile among the needy is really amazing. I felt great pride when I met students of Army public school in Dubai last year and this hugely motivated me to do something similar back home in St. Lucia as my country faces similar situation”. “I came from a family that has seen some very tough times, my mother has been working hard since she was sixteen and I know how tough it can be for most families. I don’t want children in my country to face the same hardships that I went through and want to do all I can to give them happiness and bring back smiles to them. It’s a little share from me for my Nation. 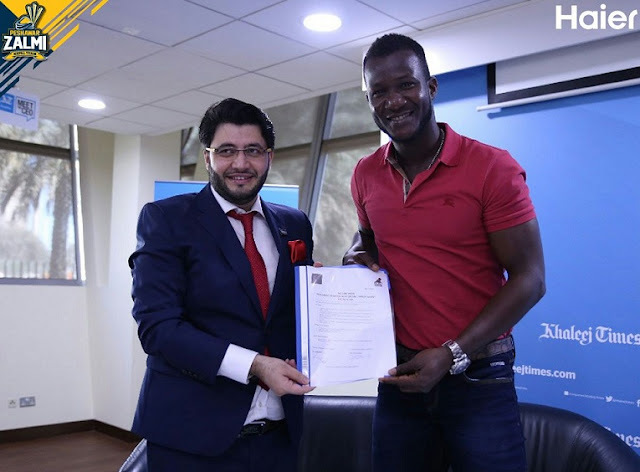 Mr. Javed Afridi on this occasion announced a donation worth $ 10,000 for Daren Sammy Foundation and promised to supply all cricket gear needed by the Foundation in promoting cricket in St. Lucia.